Natalie Crouter, a forty-six-year-old American wife and mother living in the Philippine Islands, sat down at the end of an evening in late October 1942 to write in her diary. She recounted a school pageant, which her two children, Fred and June, participated in, celebrating both Halloween and Thanksgiving. Natalie was especially moved by the Thanksgiving portion of the show, which retold the familiar story of the first Thanksgiving feast at Plymouth Rock. This year in particular, she felt a personal connection to the tale of people in a strange land worrying about food, getting along with an alien population, and just surviving. 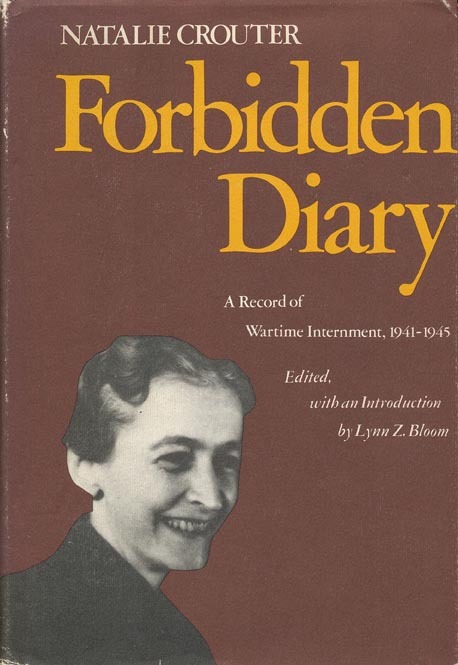 Natalie ended her diary entry that evening lamenting that “we are waiting for America.” Her contemporaries may have regarded those five words as an opening phrase that would end “to win this war.” In the fall of 1942, Americans waited, hoped, and prayed for the United States to win its arduous battle against the Axis powers of Germany, Japan, and Italy. But American women did not wait in idleness. They expressed their patriotism and support for the war through action, taking up a variety of work ranging from riveting in airplane factories to enlisting in the armed forces to serving donuts and lemonade at USO socials. In many ways, Natalie Crouter waited for victory just like other American wives and mothers. She kept a close eye on the activities of her two children, monitoring their progress in school, keeping track of their health, and discussing the war and its possible implications for their future. A smart and resourceful woman, Natalie adjusted to doing without materials and foodstuffs, substituting new items into her family’s wardrobe and diet to replace the unattainable ones. She generally expressed optimism for a decisive Allied victory, but at times she despaired because it was taking so long. The longer the delay, Natalie knew, the more likely she and her children, confined to a concentration camp, would die. 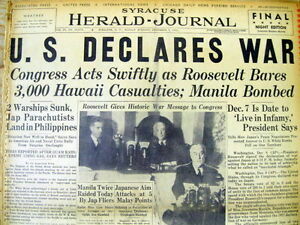 Coinciding with their attack on Pearl Harbor on December 7, 1941, the Japanese struck at other American territories, including the Philippine Islands. The Americans living there were trapped. 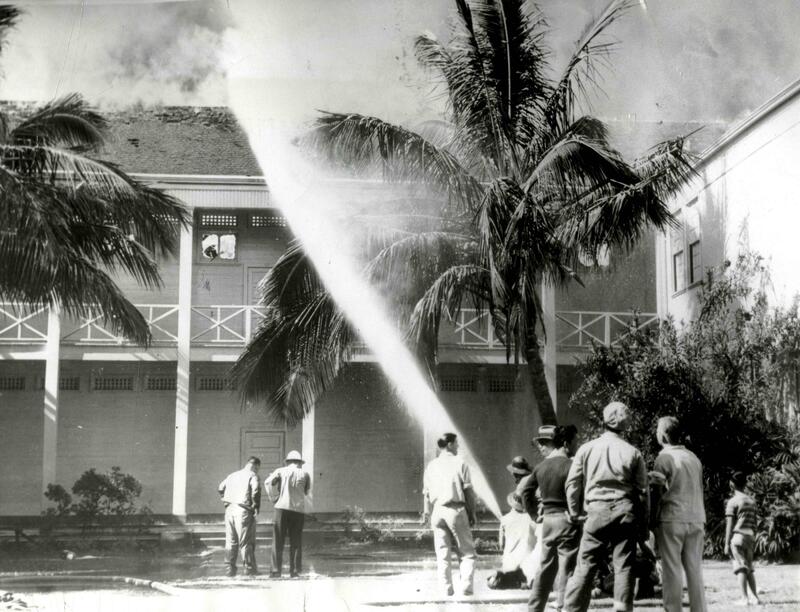 When the Japanese invaded and occupied the islands in January 1942, the Crouters became enemy aliens. To prevent sabotage and humiliate the Allies, the Japanese rounded up all Allied civilians, including women and children. 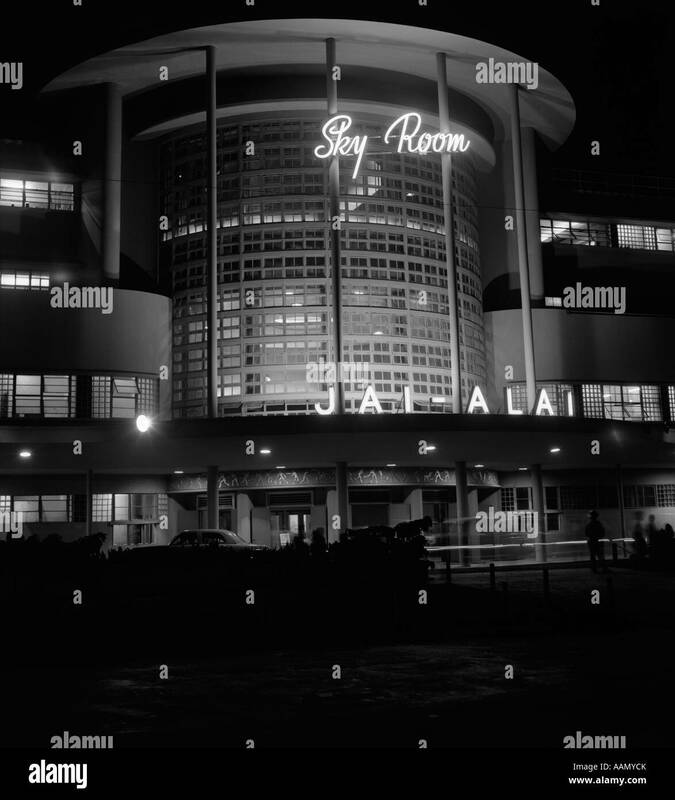 The Japanese viewed them as hostages, valuable bargaining chips. Natalie, her husband Jerry, and their two children were interned along with about five hundred other civilians in Baguio, a mountain resort city north of Manila on the island of Luzon. Altogether, close to fourteen thousand American civilians spent about three years as prisoners of the Japanese. The Crouter family was relatively lucky, since they managed to stay in the same camp. But to frighten and demoralize their captives, the Japanese decreed “no commingling” and forbade families to live together. Natalie and the children lived in one barrack, with Jerry housed separately. Visits were allowed, but touching was limited. Family life was altered, strained, with the children struggling to adjust and make sense of their new reality. Fear was a daily companion. The Japanese understood what they were doing. They not only had hostages, they had compliant hostages. The adults in the camps proved reluctant to overtly resist Japanese authority. Parents like Natalie and Jerry did not want to risk any retaliation that might be taken out on the children. which opens with Natalie’s story. The cover photo was taken in the Baguio camp, before the worst of the wartime deprivations took hold. The United States was at war with Japan. Gladys Savary and thousands of other Americans were trapped in the Philippines. It was true, no one could know what would happen. For more than three years, Gladys struggled to survive in enemy-occupied territory, risking her own safety and freedom to subvert the Japanese and help those in need. 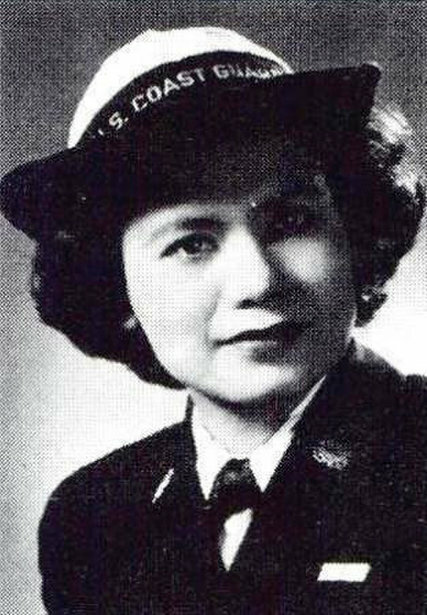 The rest of her story can be found in Angels of the Underground: The American Women who Resisted the Japanese in the Philippines in World War II. We’re on the downside of May. This is always my favorite, favorite time of year. It marks my wedding anniversary. It means the end of another academic year. It means warm weather and the promise of even warmer, sunnier days–so welcome after the long Wisconsin winter. Memorial Day kicks off summer. It’s an odd marker. Memorial Day, originally called Decoration Day to honor those who died during the Civil War, is about remembering members of the military who died in service to their country. It became a federal holiday in 1971, and its observance was moved to the last Monday of May. The women I wrote about in Angels of the Underground were not in the military. They didn’t die during World War II; they didn’t make the ultimate sacrifice. Horrified by the number of Americans and Filipinos who died during the battles of Bataan and Corregidor, who perished along the Death March, and succumbed to diseases in POW camps, they did whatever they could to minimize additional loss of life. On this Memorial Day, remember those men. On January 5, 1942, days after invading Japanese troops occupied the Philippine capital of Manila, Josephine Waldo and her husband Bill, a Goodyear employee, along with other Allied nationals living in the Michel Apartments, were herded into army trucks and delivered to Rizal Stadium for registration. From there, they were transferred to the campus of Santo Tomas University, which served as an internment camp for Allied nationals for the duration of the enemy occupation. 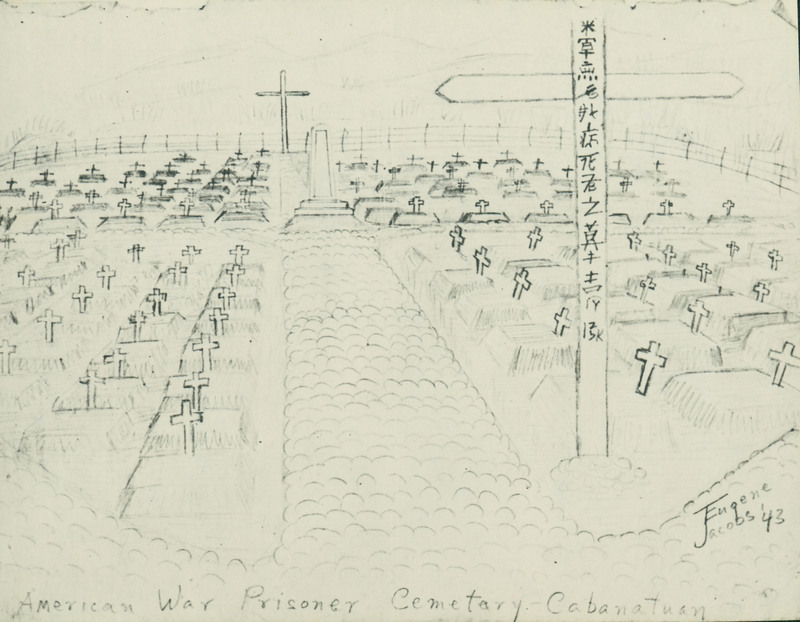 Despite their circumstances, the American prisoners of the Japanese expressed national pride by celebrating holidays, especially the 4th of July. They risked raising the ire of the Japanese guards, but couldn’t stop themselves from marking the occasion. In 1943, Claire Phillips, an American woman who evaded internment by concocting a false nationality, marked the holiday by launching “Operation Hamburger.” She and some other Manila women had been smuggling food and supplies to Allied military prisoners held at the Park Avenue School for use as forced labor. Claire and the women of “Operation Hamburger” sliced fifty loaves of rice bread and fried up meat patties to make hamburger sandwiches. They arranged with a local shop owner to slip the hamburgers to the men as they marched past. Nothing could be more American, Claire reasoned, than eating a hamburger on the 4th of July. 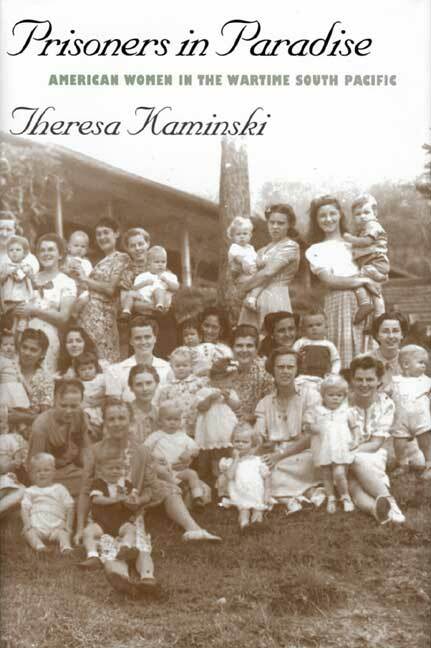 On July 4, 1944, the last 4th of internment, Ethel Thomas Herold, interned with her family in Baguio, a few hours north of Luzon, noted in her diary that she “hardly noticed” the day. The war had been going badly for the Japanese, who took their frustrations out on the prisoners. Food became scarce; many of the internees would soon start to exhibit signs of starvation. No one had enough supplies for a special meal or celebration on the 4th. Still, Ethel described how some of the internees came to her room to look at and touch an American flag that she and some of the other women had been working on. “We women have slowly and lovingly button holed every star and sewed and resewed the seams just to be holding the flag. Whatever becomes of this flag, it serves its purpose in here, by just being secretly looked at and dearly cherished.” Both Ethel and her flag survived the war. Good morale could only do so much, though. These Americans would wait another seven months for liberation.